You usually don’t think about your garage door unless you need access to your garage. So how can you tell when your garage door needs to be repaired or replaced? Felluca Overhead Door provides expert door repairs, replacements, and servicing for residential and commercial clients in Rochester, New York. Their professionals have advice on how you can tell when your garage overhead door needs repairs. Excessive Noise: Garage doors normally make noise when they’re opened, especially if they’re old. But if you notice creaking or straining that’s louder than usual, it can mean there’s a problem with the opener, spring, or opener bracket. If this is the case, call your repair technician to inspect your garage door and make any necessary repairs. Frequent Breakdowns: It becomes a safety risk when your garage door refuses to work properly. You can choose to repair your garage door every time it breaks down, but when your garage door malfunctions on a regular basis, it may be more cost-effective to replace the entire unit. Sagging Sections: If you notice parts of your garage door are sagging, you may have a problem with your tension spring. One way to test if your door sags is to disconnect the opener and manually open your garage door halfway and leave it there. If your door rises or falls down, then contact a professional for repairs. Does Not Open Or Close: A garage door that doesn’t open or close when you use the controls is a safety hazard to you and any anyone else who uses your garage. The problem can result from a connection issue with the controls or an obstruction in the door. Calling your garage repair professional is the best way to determine and repair the issue. Prevent garage door disasters—and a potential tragedy—with regular maintenance and inspections by a professional. 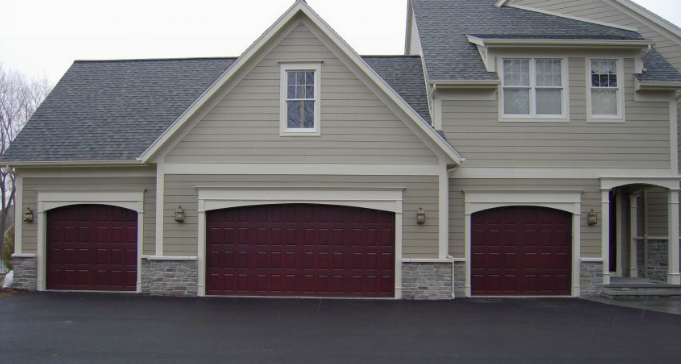 Call Felluca Overhead Door at (585) 467-2391 and talk to an expert to learn more about proper garage door maintenance. You can also learn more about their provided services when you visit them online. Should I Choose a Metal or Wood Garage Door?